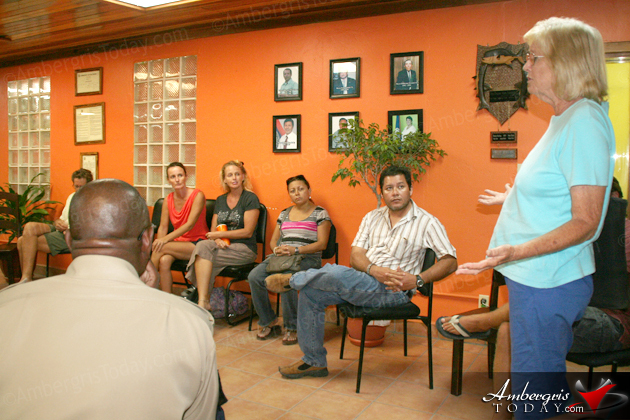 A meeting addressing the crime situation on the island was carried out on Monday, May 14, 2012, at the San Pedro Town Hall. Island residents who have been victims of crimes such as burglaries or robberies met with island officials including Mayor Daniel Guerrero, Councilors and Assistant Superintendant Vienie Robinson of the San Pedro Police Department. The purpose of the meeting was to address the escalating crime situation on the island and finding solutions to alleviate the situation and have a safer San Pedro. 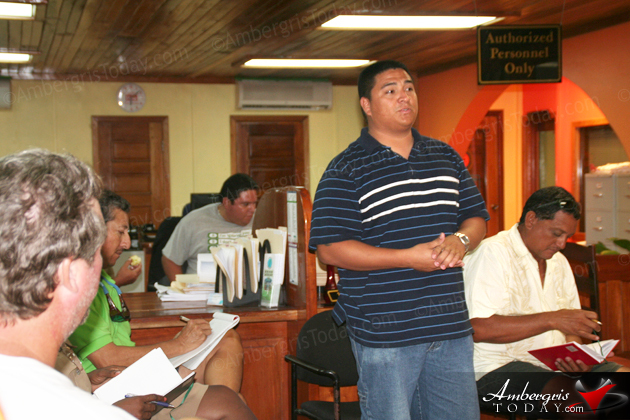 Island residents present at the meeting shared their stories and their experiences when they had been the target of criminals or their businesses been burglarized. During this, residents expressed their disappointment and loss of confidence in the SP Police Department. 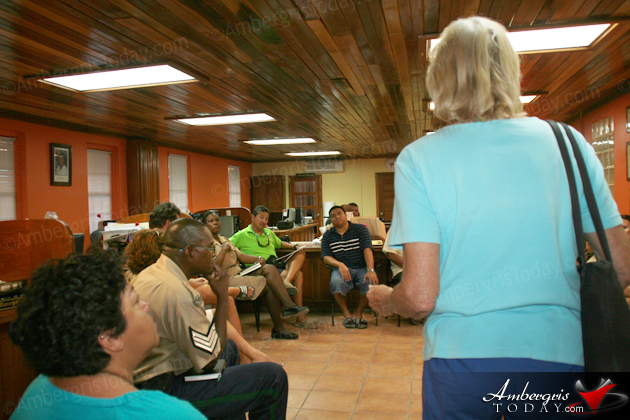 One of the residents stated that in the short time of living on the island she and her family have been the victims of a home burglary and feel that the way the situation was handled by the police department has her in a state of no faith in the system. 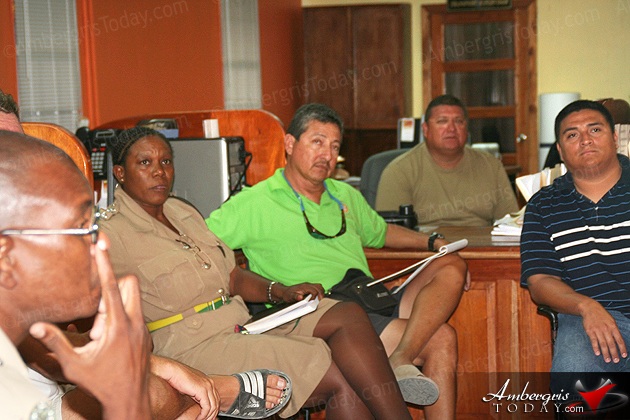 Assistant Superintend Robinson stated that the department does lack the man power with only 32 police officers at the station for the entire island. They work on three shifts per day putting only nine officers on guard per shift for the entire island. Robinson is hopeful that with the recent training of about 25 special constables and their involvement with the police officers in community policing the crime situation on the island will be addressed in a successful way. During the meeting there was a few head-butting between residents and the police officers when it came to discussing the way investigations are carried out and follow-up on the criminal cases. ASP Robinson stated that with the lack of evidence a case can’t be taken to court and many a times witnesses fail to make a statement so the police can’t do much. She also stated that many of the assailants are also repeated offenders and are still out on the streets because, most of the time, once items are recovered victims do not want to follow up the cases in court and the assailants are free to roam the streets once again. It was clearly established that both the community and police officers have to work hand in hand for a better San Pedro. Presently both police vehicles are in non-working condition and the police are doing patrols on golf carts. Mayor Daniel Guerrero promised to donate radios and a vehicle to the police department for this upcoming police week. Mayor Daniel Guerrero and Town Councilor Wally Nuñez, in charge of policing and working closely to the San Pedro Police Department, will both be working hand in hand with the police department and hope to have a public meeting with the Minister of National Security, John Zaldivar to address the situation in San Pedro.